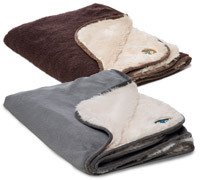 These warm fleece dog blankets are super cosy but also practical. 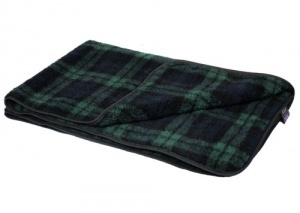 They feature a high quality, durable Sherpa fleece on top with a practical waterproof backing. 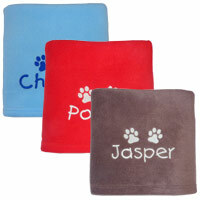 Perfect for those little accidents or to protect your furnishings and car seats from wet or muddy pets. 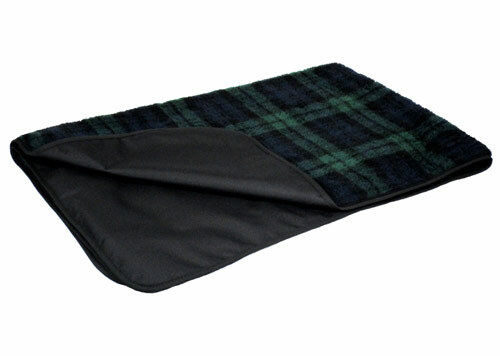 Available in a classic Black Watch tartan and two sizes. 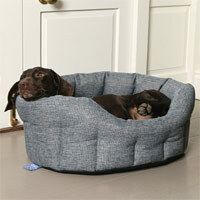 Measurements given are subject to slight variations due to the manufacturing process. Best car dog blanket ever! 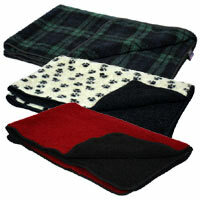 Our recent purchase of your waterproof backed dog blanket is our third over a number of years. 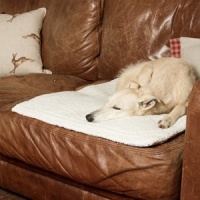 It is totally fit for purpose of keeping the car free of damp and the dog dry and comfortable. Additionally it looks smart and classy. The new size fits our car perfectly and we keep the blanket in place by trapping the blanket with wedges in the cargo rails. Excellent!